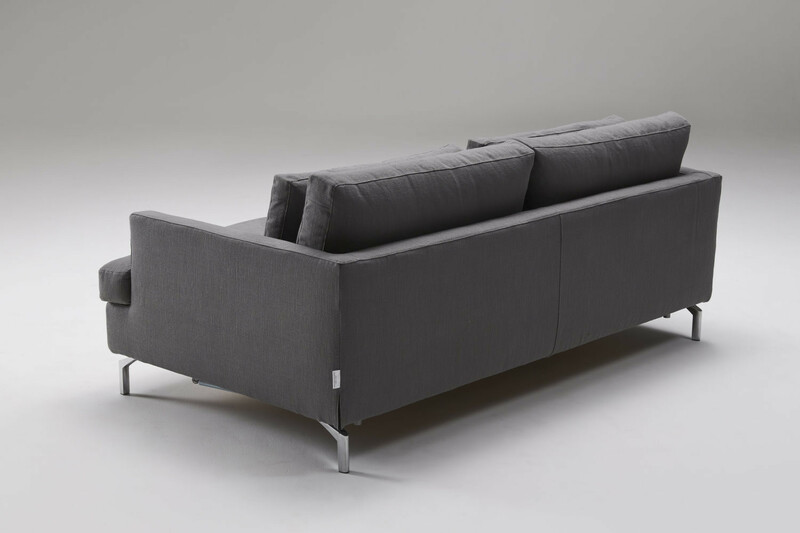 Dave is a double sofa bed with chaise longue, also available as a 2 - 3 seater or in many other layouts and measurements. It features high feet and soft wide padding in a mix of feathers and polyurethane foam. 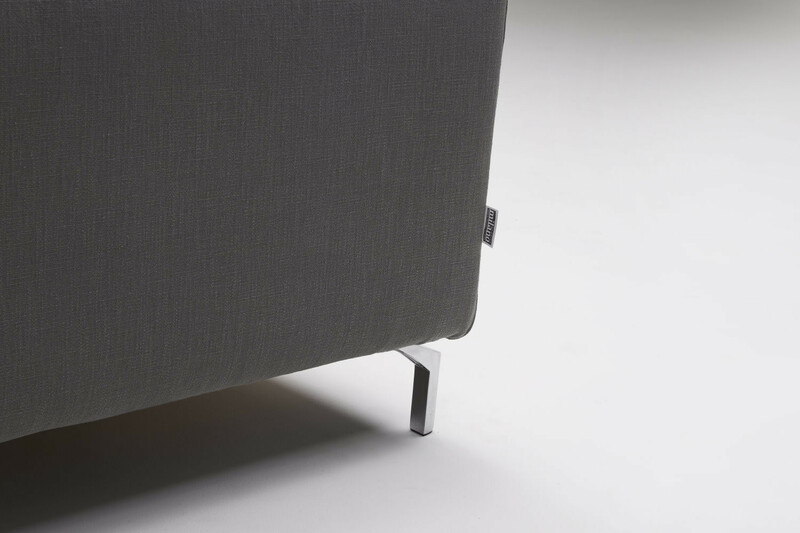 Its modern line in enhanced by its aluminium feet which are 16 cm high, its high thin armrests and a backrest composed of double cushions for the utmost comfort. 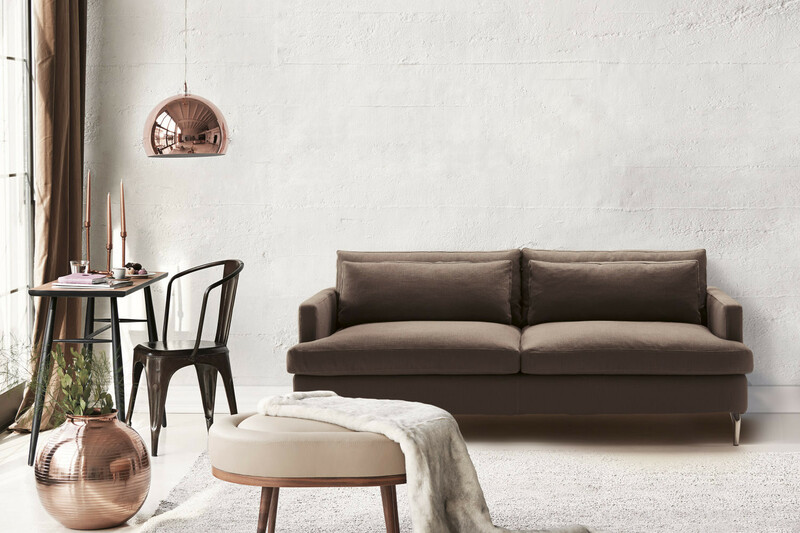 It can be upholstered in fabric, eco-leather or leather in several colours: a wide range than ensures a great flexibility, Dave sofa bed can be matched to any kind of style. 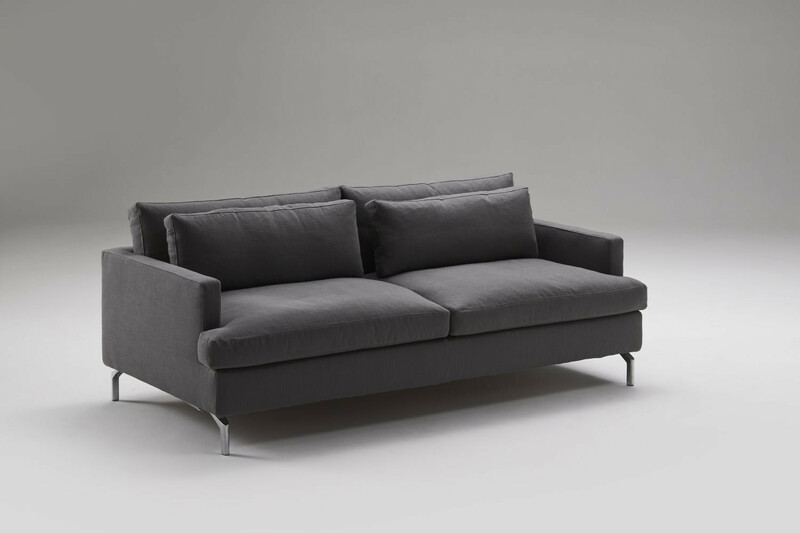 In its linear version the 2 and 3 seater model can conveniently furnish small living areas or one-room flats. It can be matched with the armchair from the same collection for a completely coordinated relaxing area which can be used both during the day and the night. 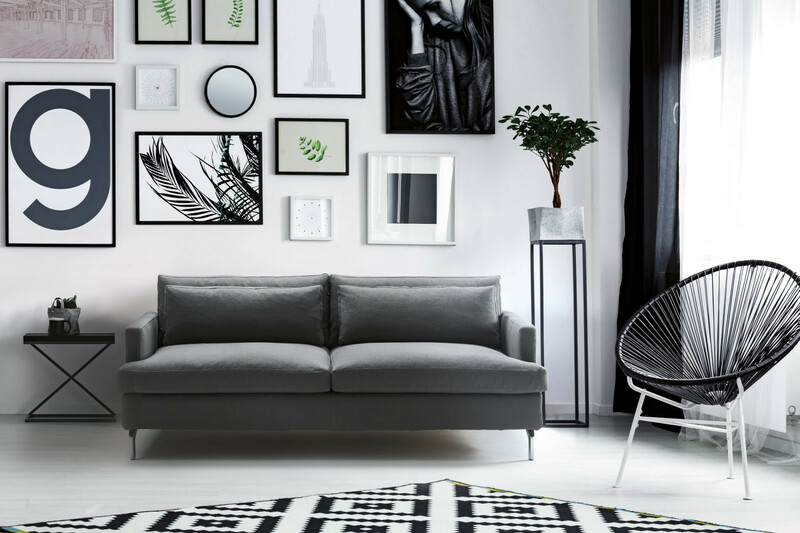 For bigger rooms it is possible to choose the model with chaise longue or the corner one, customisable according to your needs. Furthermore, thanks to the bespoke elements available, it is possible to obtain very big linear layouts from 4 seats up. 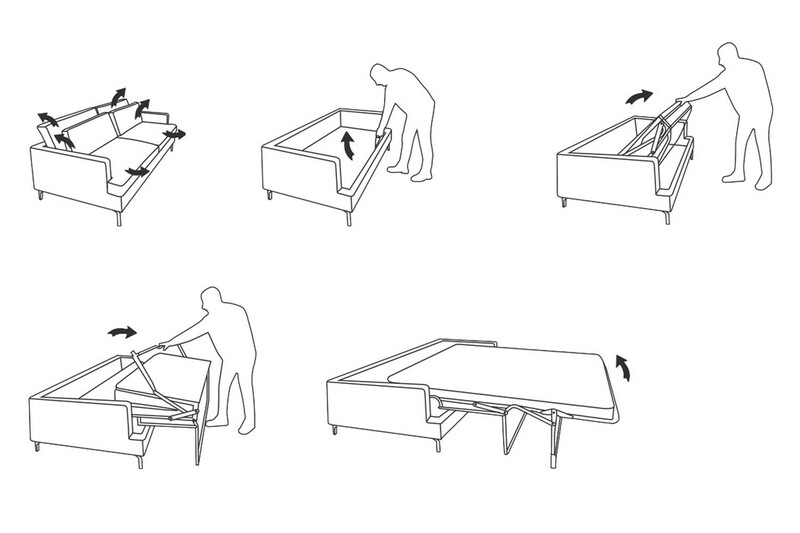 The sofa bed opening is extremely easy and it is guaranteed by Lampolet special system; you just need to remove the seat cushions and then have the base and mattress slide forward under the seat. Seat cushions don't have to be removed but they stay behind the mattress. All models come with completely removable cover and offer a 200 cm long mattress. All models include a CMS mattress in expanded polyurethane, 10 cm high. As an alternative, Polilatex model in eco-friendly polyurethane with latex is also available. Click here to consult the Mattresses Guide and choose the one more suitable for your. The sofa bed is available in fabric, faux leather and leather in several colours displayed in our Milano Bedding samples page. The sofa bed cover is completely removable and washable according to the specifications of each single cover.. 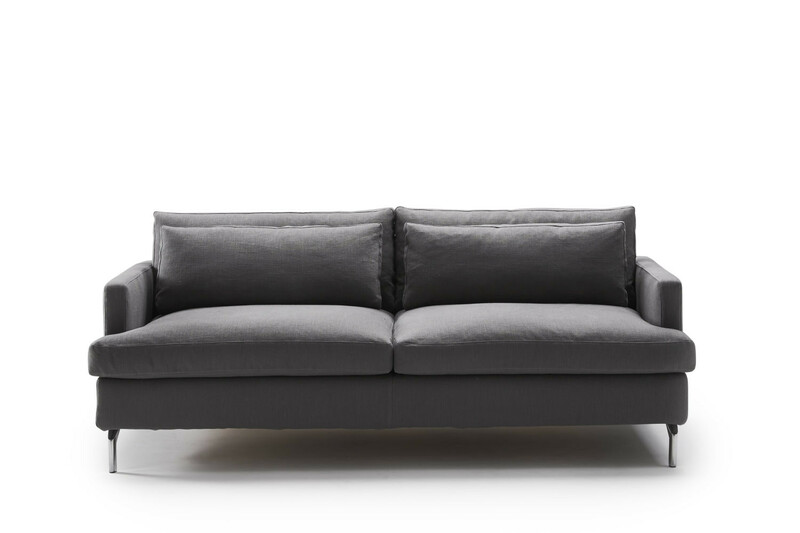 Mechanism (sofa bed): high-strength cold drawn steel tube, painted with epoxy powder, two folds, front opening in two movements by extraction of the seat. Orthopedic bed with beech wood slats. Seat made with webbing. Mattress standard (sofa bed only): expanded polyurethane foam 35 Kg/m³ covered on both sides with 100% cotton fabric quilted with 100% polyester fiber 400 g/m². Frame: solid fir, poplar multilayer, hardboard. Seat: feather + down and interliner with expanded polyurethane foam 35 Kg/m³. 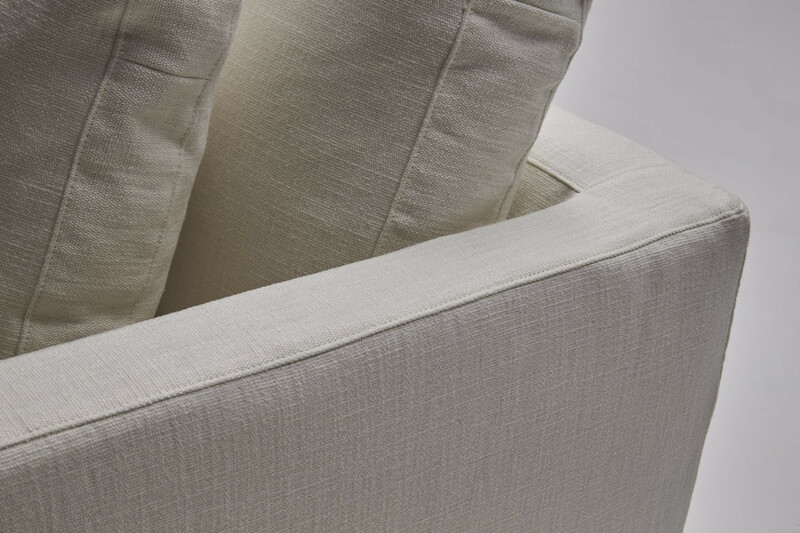 Back cushions: feather + down and interliner. Frame: expanded polyurethane foam 30 and 40 Kg/m³; resinated polyester fiber 200 gr./m² combined with interliner. We suggest not to sit on armrests.